There are many reasons why your company can benefit from corporate/business video production, and at Gardner Productions we have the skills, expertise, and passion to help you produce outstanding video content! Each video we produce tells a story and is designed from the outset to have an emotional connection with your audience. Let’s look at some of the benefits that a corporate/business video can bring. Business Video ProductionToday’s corporate environment faces the unique challenge of communicating along multiple channels. People are bombarded with information from all angles – emails, tweets, text messages – and it can be difficult to ensure that a single, finely-tuned message is sent and received. With Toronto based corporate video productions, you have the opportunity to control your message in a straightforward yet emotive way, that leaves less room for interpretation and generates opportunities for increased engagement. Corporate videos offer a unique chance to showcase your company’s benefits in a clear and impactful way. Create an emotional response from your target audience and generate favourable returns. Your business’ messaging can easily be spread through corporate websites and social media, which increases your reach and betters the chances of reaching your target audience. Differentiate yourself from your competition by leveraging videos to share your messaging. By increasing your brand’s awareness, you’ll be able to set yourself apart from the pack. Having a corporate video on your website can help your rankings in the search engines, which helps your business to be more visible. By creating engaging video content, you’ll not only gain more visitors to your website, but you’ll encourage them to stick around longer, which has enormous implications for search engine visibility. 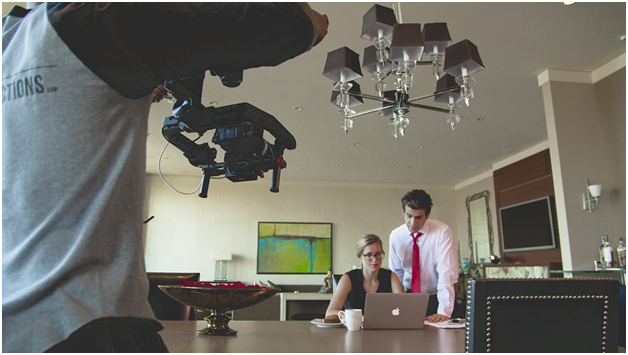 A well-made corporate video can help increase conversions for your business on a number of fronts. By increasing brand awareness, it’s an excellent opportunity to pre-sell products and services, getting your target audience in the mood to buy before they even reach your site. Additionally, it helps to showcase those products and services you do offer and to explain the benefits of them in a way that printed text simply can’t match. Videos grab the viewer’s attention like no other medium. Expertly crafted to capture the imagination and pique interest, they draw the viewer into your message and help to implant awareness of your brand so they’ll keep it in their mind. Having a well-produced corporate video can let you be seen in human terms, rather than as a business. Your viewing audience can get drawn into your story, and it gives them the opportunity to relate to you better. Corporate video production services in Toronto from Gardner Productions are an exceptional way to help grow your business. Contact us to learn how our passionate and dedicated team can help you to realize your goals.